Department of Journalism Lecturer Lisa Fernandez was recognized and applauded by NBC Bay Area news for the “small act of kindness” that helped student Brandon Beebe get back into the classroom after a series of financial setbacks left him homeless. Fernandez reached out to her Facebook community who “within minutes jumped in and asked what they could do to help,” Fernandez reported—help that ranged from direct financial assistance to connections to other sources of financial aid and housing assistance. For more of the story, including information about Beebe’s GoFundMe page. Mother Nature Network interviewed Department of Physics and Astronomy Lecturer Friedemann Freund about the “earthquake lights” that appeared over New Zealand during the peak of the recent 7.8 magnitude earthquake. Freund, who co-authored a paper on the topic, theorizes that earthquake lights result when certain types of rock, under stress, produce electrical charges. Read more online. Published this month through Cornell University’s East Asia Series: Department of History Assistant Professor Xiaojia Hou’s Negotiating Socialism in Rural China: Mao, Peasants and Local Cadres in Shanxi 1949-1953, the first monograph in English about the beginnings of China’s agricultural collectivization. Hou specializes in research about China’s socialist transformation in the 1950s and joined SJSU’s history faculty in the fall of 2015. Dean Walter Jacobs, College of Social Sciences, was elected to the executive board of the Council of Colleges of Arts and Sciences, a national association based at the College of William and Mary in Williamsburg, Va. 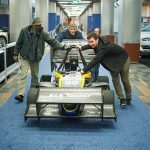 The council provides professional development programming to its member deans and works to sustain the arts and sciences as a leading influence in American higher education. With help from her public relations class, Department of Journalism Lecturer Halima Kazem is spearheading a fundraiser for Syrian refugees living in a refugee camp in Lesvos, Greece, selling the brightly colored bags those refugees fashioned from life vests worn while fleeing their country by boat. The bags sell between $14 and $40 and Kazem hopes to sell all 130 bags by Christmas, raising approximately $3,000 for the refugees. For more information, contact Kazem at halima.kazem@sjsu.edu. Department of Biomedical, Chemical and Materials Engineering Professor Claire Komives’s antivenom research made the news again in a Pensacola News Journal report extolling the role of the possum in developing snakebite antivenom. (Possums are immune to the poison inflicted by snakebites.) Komives has previously presented her research findings at the American Chemical Society’s national conference. Both Popular Science and inverse.com noted iSchool Lecturer Susan Maret’s Freedom of Information Act request regarding the role of the Defense Advanced Research Projects Agency (DARPA) in “the development and application of Hybrid Insect Microelectromechanical Systems.” The 88-page document Maret received in response details the feasibility of using flying insects for purposes of espionage. Read more online and at Maret’s blog. 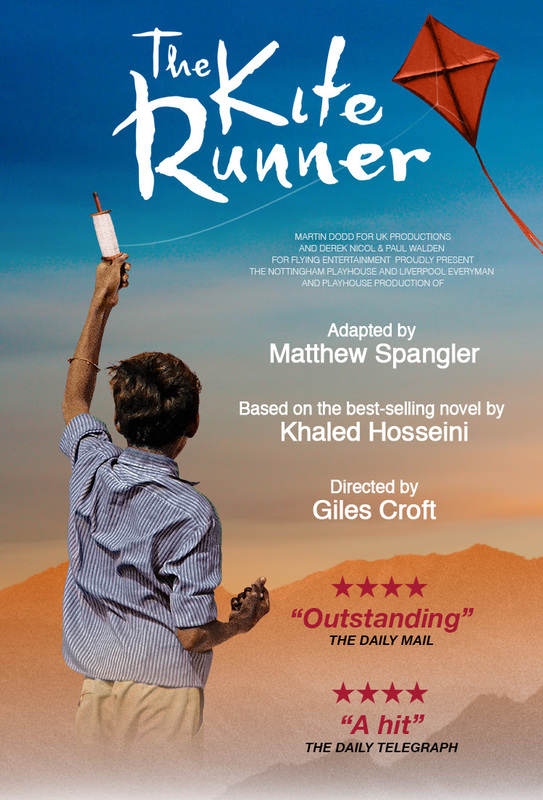 Department of Communication Studies Associate Professor Matthew Spangler’s adaptation of Khaled Hosseini’s bestselling novel The Kite Runner will open at Wyndham’s Theatre in London’s West End on December 21 and run through March 11, 2017. 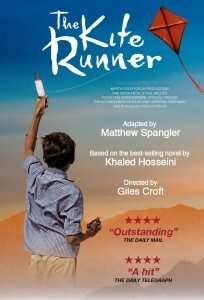 Spangler’s adaptation was staged at San José Repertory Theatre in 2009 for its U.S. premiere and at the Nottingham Playhouse in 2013 for its European premiere. Professor Emeritus Karl Eric Toepfer, Department of Television, Radio, Film and Theatre, is a contributing writer to the Routledge Encyclopedia of Modernism, an online research resource. Toepfer’s articles focus on two important figures in modern dance in Germany, Dore Hoyer and Harald Kreutzberg. The San Jose Mercury News interviewed Dean Lisa Vollendorf, College of Humanities and the Arts, about the inspiration behind the Hammer Theatre Center and the city/university collaboration that resulted in an approximately $1 million refurbishment of the San José Repertory Theatre, turning that facility into a first-class performing arts venue for SJSU students and the larger South Bay community. NPR affiliate KTEP in El Paso, Texas, interviewed Department of Physics and Astronomy Professor Ken Wharton for a Science Studio: Quantum Theory segment that aired on November 20. Listen online. Professor Fritz Yambrach, Department of Nutrition, Food Science and Packaging, is concept designer and team organizer of the Fritz Water Vest, a flexible device designed to help populations in disaster or impoverished areas more easily transport water. The vest is currently being beta tested in Ethiopia, Haiti, the Dominican Republic and Burundi. Associate Professor Michael Cheers was interviewed by the San Jose Mercury News at the unveiling of a downtown mural. The San Jose Mercury News interviewed Associate Professor Michael Cheers, School of Journalism and Mass Communications, regarding the December unveiling of a multicultural mural in downtown San Jose that depicts six barbers of Barbers, Inc. styling the locks of six icons, including Muhammad Ali, Bruce Lee, Johnny Cash and poet Maya Angelou. “Imagine kids leaving here and seeking out Maya’s books of poetry,” Cheers said. 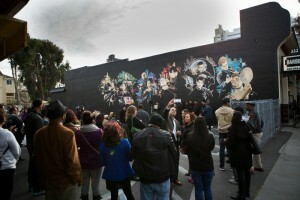 The mural is located near the corner of Eighth and Santa Clara streets. 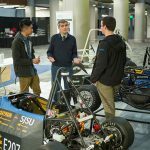 Department of Physics and Astronomy Lecturer Friedemann Freund, a senior scientist at NASA’s Ames Research Center in Mountain View, was a presenter at the American Geophysical Union’s fall meeting in San Francisco. He shared his research on predicting earthquakes via electromagnetic anomalies that appear in the Earth’s crust minutes to days before an earthquake occurs. This month, iSchool Assistant Professor Christine Hagar presented at the United Nations International Strategy for Disaster Reduction Science and Technology Conference in Geneva, Switzerland. Hagar shared research on her specialty, crisis informatics, concerning the role of information professionals and public libraries in disasters and collaborations with disaster and emergency management agencies. In December, Professor of Art and Art History and Director of the Natalie and James Thompson Art Gallery Jo Farb Hernandez presented her book “Singular Spaces: From Eccentric to the Extraordinary in Spanish Art Environments” at the Reina Sofia Museum in Spain. Hernandez’ book was presented along with books by three other women who have recently published on the theme of art brut/art environments in Spain, Cuba and Italy. Last month Lecturer Sharmin Khan, Department of Computer Science and Department of Linguistics and Language Development, published “A Muslim call to fight radical Islam” in the San Jose Mercury News, calling on “all progressive Muslims to wake up to the peril within our midst.” Read the article online. Assistant Professor Ellen Middaugh, Department of Child and Adolescent Development, was interviewed by NBCBayArea.com on how to discuss the recent Paris terrorist attacks with children. Most critically, parents should emphasize that the actions of Islamic extremists do not reflect the beliefs and actions of all Muslims, Middaugh stressed. Read more online. Professor Scott Myers-Lipton, Department of Sociology and Interdisciplinary Social Sciences, is leading a San Jose business tax initiative. The proposed ballot measure would establish a gross-receipts tax, taxing businesses based on income. The proposal will go before voters in November if 20,000 signatures can be gathered in six months. Myers-Lipton, who also led the successful 2012 campaign to raise the city’s minimum wage, is the author of “Ending Extreme Inequality” (Paradigm 2015). Assistant Professor Dustin Mulvaney, Department of Environmental Studies, published an article in the San Jose Mercury News on climate change and the importance of preserving desert habitats. “Permanently protecting large swaths of the California desert, such as Mojave Trails National Monument, will ensure that these landscapes continue doing the important work of sequestering carbon pollution,” he wrote. Read the article online. New Scientist interviewed Assistant Professor Aaron Romanowsky, Department of Physics and Astronomy, about his team’s discovery of a dwarf spheroidal galaxy “in distress, orbiting NGC 253, a giant spiral galaxy 11 million light years from Earth,” the article reported. “It looks like it’s being ripped apart by the larger galaxy,” Romanowsky said. Read more online. Lecturer Edward Webb, Department of Accounting and Finance, was promoted to partner at Burr Pilger Mayer, one of the largest California-based accounting and consulting firms. Webb leads the firm’s Consulting Practice Group. At SJSU, he teaches corporate finance and accounting. Professor Elizabeth Weiss, Department of Anthropology, recently spoke at the Milpitas Public Library on the links among modern health problems, lifestyle and evolutionary history. Weiss teaches physical anthropology courses at SJSU and has presented her research findings at annual meetings of, among others, the American Association of Physical Anthropologists, Canadian Association of Physical Anthropology and the Paleopathology Association. The December issue of Nature Neuroscience featured an article co-authored by Biological Sciences Assistant Professor Katie Wilkinson on the discovery of a protein related to proprioception – a sense that allows humans and animals to tell where their body parts are relative to each other and the environment. Read more online. The San Jose Mercury News quoted Associate Professor Beverly Grindstaff, Department of Art and Art History, about a plan to construct two-story houses in a Sunnyvale neighborhood of one-story Eichler homes. “It’s growth for growth’s sake and a real misstep,” she said, receiving a round of applause from others attending the zoning hearing. Eichler homes, named for developer Joseph Eichler, began appearing in California in the late 1940s, the majority built in the Bay Area. Lecturer Stephen Morewitz, Department of Sociology, published “Kidnapping and Violence: New Research and Clinical Perspectives” (Springer), an analysis that covers the use of kidnapping by individuals, governments and terrorist groups to achieve social, cultural, religious and political objectives. Morewitz is president of a San Francisco-based forensic sociology consulting firm and author of the award-winning “Domestic Violence and Maternal and Child Health,” also published by Springer. Professor Annette Nellen, Lucas College and Graduate School of Business, was interviewed by The Nonprofit Times on the topic of taxing cloud-based services. Nellen’s blog, “21st Century Taxation,” tackles tax reform and the modernization of tax systems. Lecturer Mary Poffenroth, Department of Biological Sciences, published “Write, Present, Create: Science Communication for Undergraduates” (Cognella), a guide for non-science majors. Poffenroth was a 2013 Salzburg Fellow. “Tortilla Curtain,” the stage adaption of T.C. Boyle’s novel by Associate Professor Matthew Spangler, Department of Communication Studies, opened Oct. 24 at The Western Stage Studio Theater at Hartnell College in Salinas and will run until Nov. 14. The play was also recently produced by the San Diego Repertory Theatre. Former Dean of the Lucas College and Graduate School of Business David Steele was appointed president of Woodbury University, a private university in Burbank. Steele’s “vast global business experience and extensive record of building innovative academic and other programs” distinguished him from the other candidates, according to Woodbury’s Board of Trustees chair Lawrence Hurwitz. A native of Venezuela, Steele joined SJSU’s business faculty in 2008. Earlier this month, Professor Swathi Vanniarajan, chair of the Department of Linguistics and Language Development, gave a keynote address at the first three-day international conference of Pakistan’s linguistic association. Vanniarajan, who joined SJSU’s faculty in 1995, specializes in psycholinguistics, language testing, second language acquisition and the psychology of language processing. Dean Lisa Vollendorf, College of Humanities and the Arts, with James Parr, published an updated edition of “Approaches to Teaching Cervantes’s ‘Don Quixote’” (Modern Language Association of America). The Spanish novel, which has been called the first modern novel, was originally published in two volumes in 1605 and 1615.